Tonight, Sanigar Events will host a 10-fight show at the Ice Arena Wales in Cardiff Bay and close to 1,000 fans are expected to visit the venue. It’s the second show the Bristol-based promoters will show live boxing on Welsh terrestrial broadcaster, S4C. The live programme starts at 8:45pm. It’s available to watch on Sky Channel 104 in Wales and 134 in the rest of the United Kingdom, where Enzo Maccarinelli will provide English language commentary. 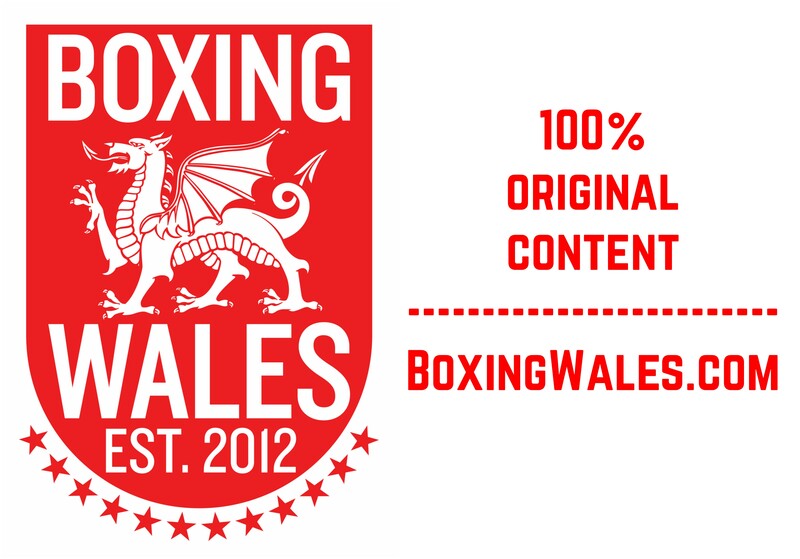 BoxingWales.com will be reporting from ringside but, due to a lack of Internet wifi, will be unable to post the usual live fight reports or post social media updates until after the show ends. In tonight’s headliner, Ebbw Vale’s Ashley Brace (7-0-1, 3KO) bids for history in her 10-rounder against Germany’s Xenia Jorneac (8-2, 2KO). Brace earned a hard-fought draw in her last bid for European glory against Spanish bantamweight Melania Sorroche in December. It’s the only blemish on the record of the WBC International champion and one she will be keen to forget with help from a new blue belt. The 27-year-old has moved down in weight to the super-flyweight category. At yesterday’s weigh-in, Brace appeared to feel the pinch on the scales, tipping them 0.1lbs over the limit. She had to strip behind a curtain to hit the 115llbs limit. Jorneac has won all of her fights on home soil in Germany. The only defeats on her record have come when she’s travelled to Sweden and Denmark. Brace should be able to implement her size advantage and work rate to make it a hat-trick of losing travels for Jorneac. Keep an eye out for Italian Giuseppe Quartarone, who will referee the contest and return to Cardiff two weeks after his last appearance. The official’s received heavy criticism for his performance in Anthony Joshua’s world title unification against Joseph Parker at the Principality Stadium. A win would see Brace become the first female fighter to win an EBU title in the professional ranks. The Welsh woman hopes it can set up a fight with two-time Olympic gold medallist Nicola Adams. Clydach Vale’s former British and Commonwealth champion Liam Williams (16-2-1, 11KO) will fight on home soil for the first time in 17 months. The popular super-welterweight had been due to face Anatoli Humanyan (7-3-1, 4KO) but the Czech Republican didn’t board his plane this morning. Instead, Williams will take on Manchester’s Daryll Sharp (5-32), who has never been stopped whilst on the road against some of Britain’s best up-and-comers. Hard-hitting Williams lost his two outings in 2017, controversial and close meetings with former WBO champion Liam Smith, and ‘The Machine’ aims to climb the world rankings as soon as possible. 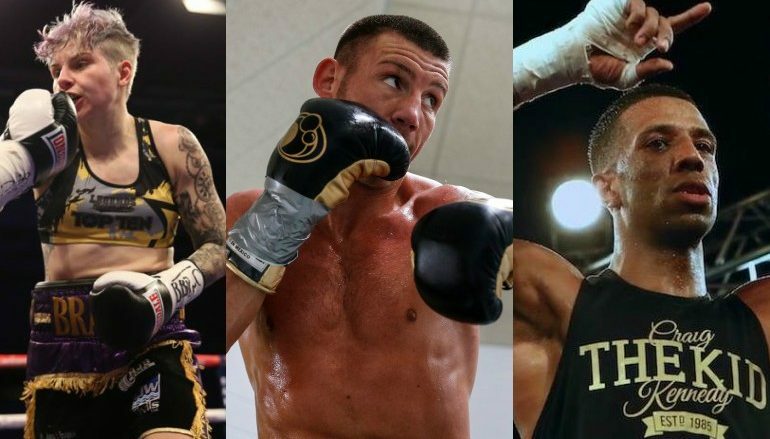 Hall of Fame promoter Frank Warren has made the first step of Williams’ new chapter possible and it could be a defining period for the Welshman, who has 21 rounds of top-level experience under his belt as he restarts his climb towards new titles. Cardiff’s Craig Kennedy (16-1, 8KO) hasn’t fought since a knockout loss to Matty Askin almost a year ago. The British cruiserweight title evaded him on that occasion and he’s changed things up as he chases it again. The popular cruiserweight has linked up with new coach Gary Lockett at his new base in Llanrumney Boxing Club and they’ve worked hard on improving his technique. Kennedy is always fit and strong, an evident reflection of his natural fitness and with the right approach, he’s still capable of collecting belts. Despite having a limited amateur experience, Kennedy should be commended for always seeking tough fights in the paid code. This attitude hasn’t altered and 33-year-old southpaw Nikolajs Grisunins (7-0-1, 4KO) will be another test. The Lithuanian enjoyed a storied amateur career, including a one-point loss to current world champion Oleksandr Usyk in 2008 and Kennedy will have to be on form to overcome the challenge. 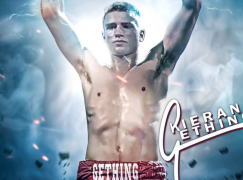 After a slight stutter to start his professional career, Pontypool’s Kieran Gething (4-1-1, 1KO) is on a roll and aiming to take titles in the very near future. 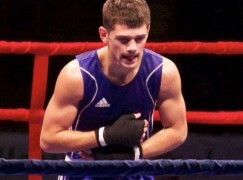 The 24-year-old former Team Wales captain had been due to take on Tony Dixon for the Welsh welterweight title. Gething was aiming to match his achievements in the amateurs. However, Dixon suffered an eye injury and has been forced to take some time away from the ring. In stepped former Commonwealth champion Bradley Pryce (38-24, 20KO). 37-year-old ‘Sugar Sweet’ was once handled by Gething’s manager Jamie Arthur, but has gone it alone over the last four years. The ex-member of Team Calzaghe has suffered two stoppages in his last four defeats and promised to retire if he doesn’t turn the tide against Gething. After winning the Welsh title in December, Cardiff’s light-heavyweight Nathan Thorley (9-0, 5KO) had hoped to kick on towards the top and that was the plan. A meeting with former Commonwealth super-middleweight champion Charles Adamu was made, only for the Ghanaian to be forced out due to visa issues earlier this week. 11th hour calls were made across the country and they led to Adam Jones (7-30-6, 2KO), one of the toughest ‘journeymen’ on the circuit. The Yorkshireman is no stranger to causing trouble for unbeaten prospects but that’s usually at middleweight. Expect Jones to be severely undersized and Thorley, if he stays switched on, should prevail comfortably. There was similar frustration for Trelewis’ Gavin Gwynne (8-0, 1KO), who also wanted to progress after becoming Welsh lightweight champion in December. The long-levered 27-year-old is another to have been hit by a change of opponent. Ciaran McVarnock was due to visit to contest the Celtic title, which would have been perfect progression. It hasn’t been announced why the Irishman is out and has been replaced by Hereford’s Dean Evans (6-20-2, 4KO). Fans will appreciate that Evans has been a handful on previous trips to Wales but won’t expect him to halt Gwynne’s energetic engine in their six-rounder. 2012 Olympic silver medallist Fred Evans (3-0) will have to be better than last time when he scraped past Adam Jones by a single point. 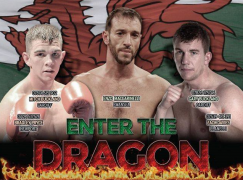 The super-welterweight faces William Warburton (25-131-10, 4KO), who has a long history of troubling Welsh talents. Just before Christmas, Jacob Robinson, son of former European and world champion Steve, made the perfect start to his professional career. He looks to build on the second round knockout as he takes on Stockport’s Jamie Quinn (3-56-2). Swansea’s super-featherweight Kristian Touze (5-0-1) should expect next to no resistance when he faces the winless Alec Bazza (0-34-2) in a questionable matchup. Completing the card, Cardiff’s Lottie Quryshi makes his debut.